The 3-piece holiday Apron set is the perfect gift for so many people on your Christmas gift-giving list this year. So charming, this quality fabric apron is paired with a complementing pot holder and oven mitt- it is like three gifts in one! Break this set up to share with others, or keep all of the pieces together for a culinary ensemble that brings smiles while also providing function in the kitchen. 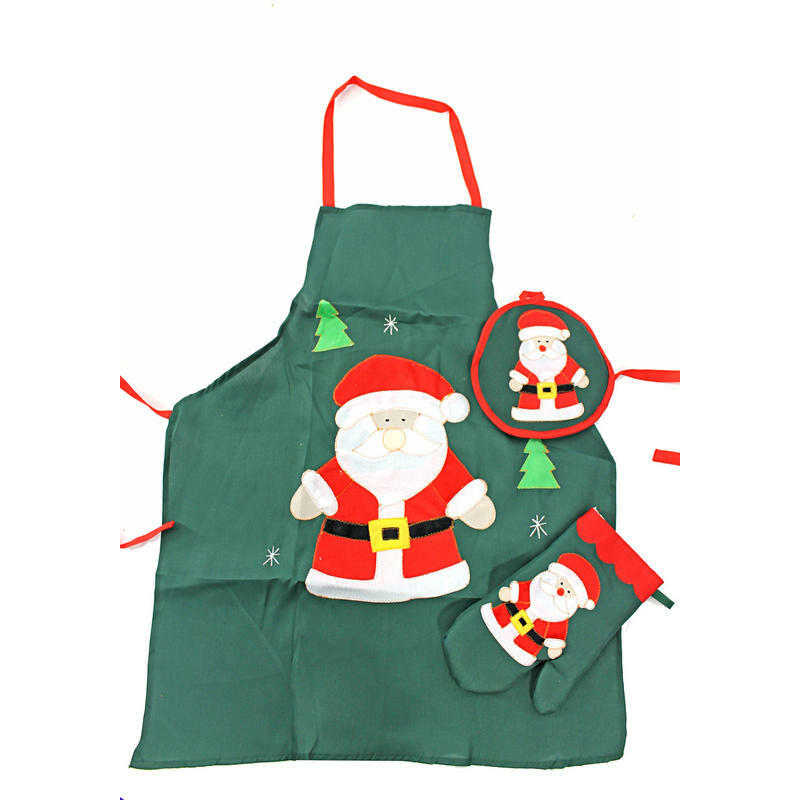 Each set contains a cotton-fabric apron, embellished with a whimsical Santa motif. Each component is crafted from a deep, green material with red piping, trim, and accents. 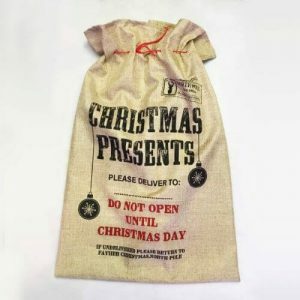 This is an excellent gift to share with someone who spends time in the kitchen- or a great jab at someone who typically does not! The red ties make this a flexible-fitting apron that will suit a wide range of recipients. Fun memories can be made when you wear this charming apron and bake holiday treats using the mitt and pot holder, too.